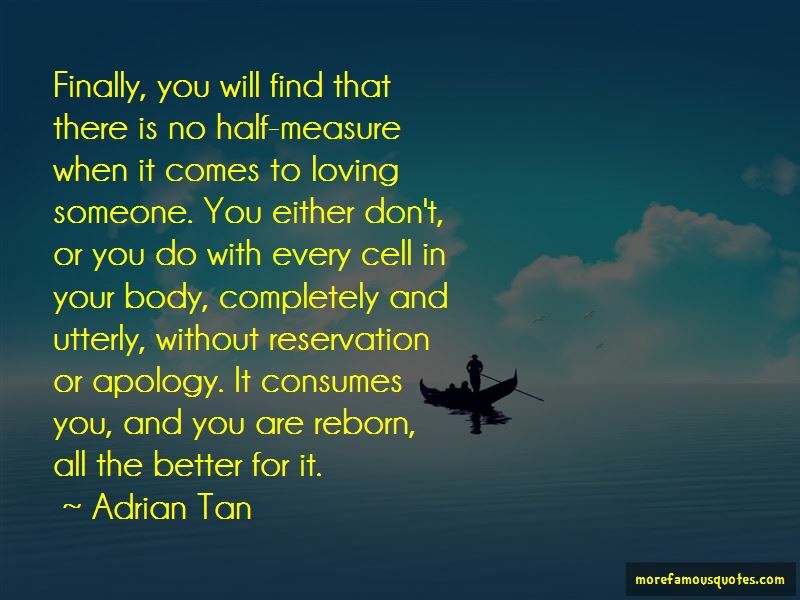 Enjoy the top 14 famous quotes, sayings and quotations by Adrian Tan. “Do not waste the vast majority of your life doing something you hate so that you can spend the small remainder sliver of your life in modest comfort. You may never reach that end anyway. “So here you are, in your twenties, thinking that you'll have another 40 years to go. Four decades in which to live long and prosper. Bad news. Read the papers. There are people dropping dead when they're 50, 40, 30 years old. Or quite possibly just after finishing their convocation. They would be very disappointed that they didn't meet their life expectancy. There's a common misconception that work is necessary. You will meet people working at miserable jobs. They tell you they are "making a living". No, they're not. They're dying, frittering away their fast-extinguishing lives doing things which are, at best, meaningless and, at worst, harmful. You might be looking forward to working, falling in love, marrying, raising a family. You are told that you should expect to find a job paying so much, where your hours are so much, where your responsibilities are so much. That is what is expected of you. And if you live up to it, it will be an awful waste. If you expect that, you will be limiting yourself. Finally, you will find that there is no half-measure when it comes to loving someone. You either don't, or you do with every cell in your body, completely and utterly, without reservation or apology. It consumes you, and you are reborn, all the better for it. It is far too easy to be liked, one merely has to be accommodating and hold no strong convictions. 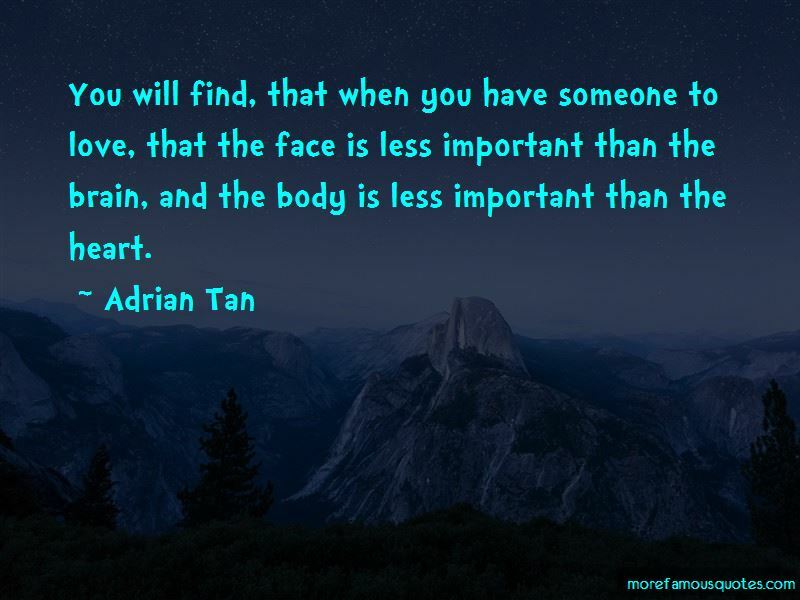 Want to see more pictures of Adrian Tan quotes? 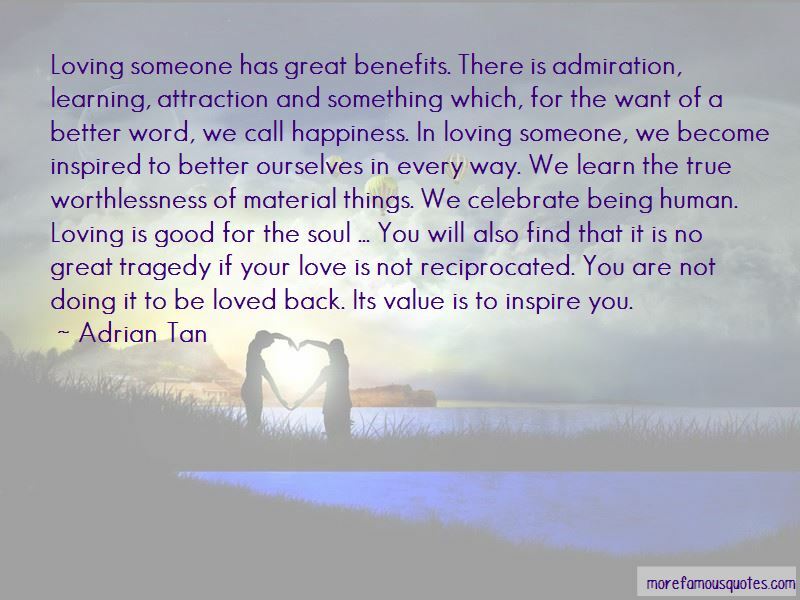 Click on image of Adrian Tan quotes to view full size.